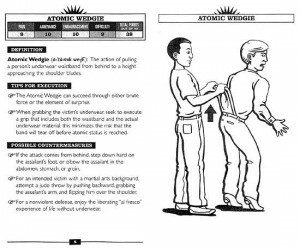 Atomic Wedgies, Wet Willies, & Other Acts of Roguery is your complete guide to the most annoying and embarrassing pranks ever practiced at summer camp, on the playground, or by an older brother or sister on a younger sibling! 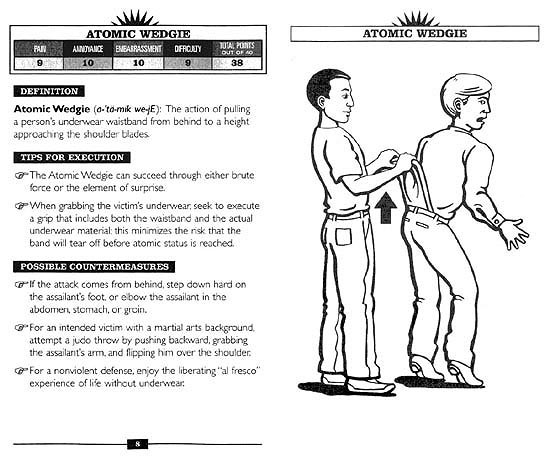 Each of the more than 50 illustrated entries includes a definition of the prank, followed by tips for execution and countermeasures to prevent an attack. 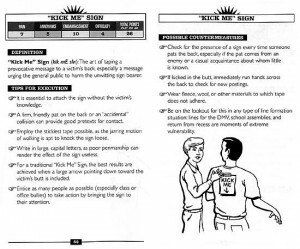 An exclusive rating scale for each prank is also provided. 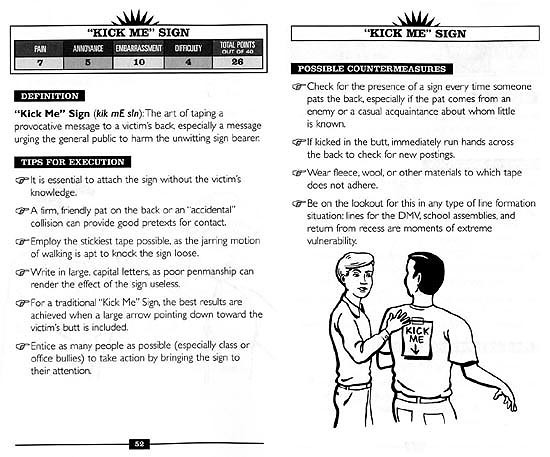 Learn the best technique for placing a “kick me” sign on your worst enemy’s (or little brother’s) back, or how to wriggle out of a noogie-giver’s evil clutches! 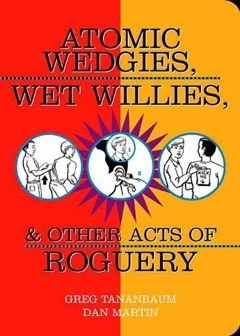 With its droll tone and tongue-in-cheek advice (sample Pants Yank countermeasure: “Make intelligent clothing and accessory choices, such as belts, button flies, and tight-fitting pants”), Atomic Wedgies, Wet Willies, & Other Acts of Roguery provides “sage” advice for the young and the young at heart.